Due to use of coal to produce electricity, there has been an increase in pollution, leading to unclean air to breathe especially near coal power stations and high demand for water. The use of more of biomass to produce electricity alone or in combination with coal, especially waste biomass can pave way to better air quality, less waste at landfill sites and less demand for water especially for energy production. 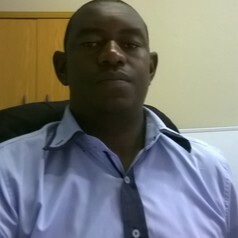 I have an MSc (Eng) and PhD in Chemical Engineering from University of the Witwatersrand. I am currently employed at UNISA were I am involved in research in renewable energy, specifically biomass to bioenergy conversion using torrefaction, a thermal process. i am involved in teaching BTech students in three modules. In addition I assist with postgraduates either as an external examiner for other institutions, supervisor or co-supervisor for students at UNISA or other institutions.